The weather report warned of a heat wave, but the woods are cool and there's a warm wind. 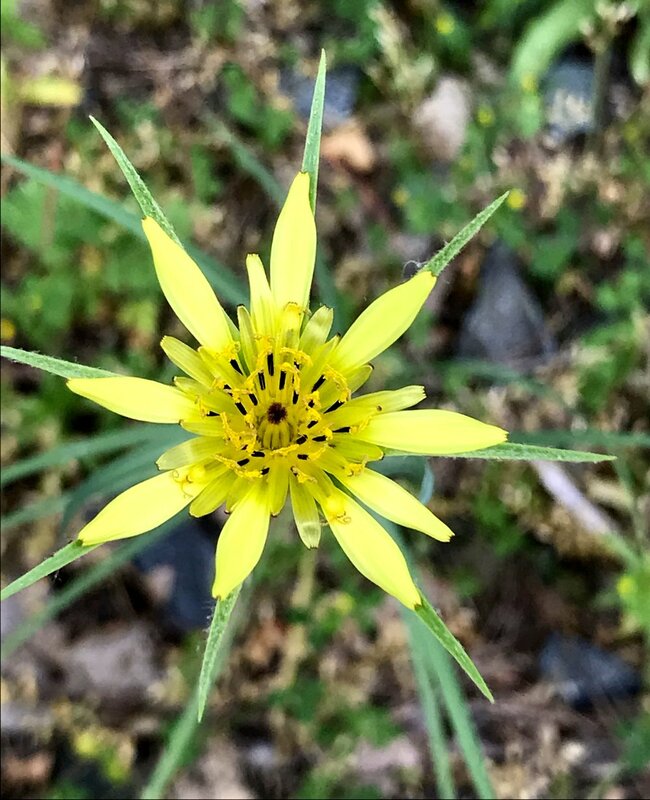 By the railroad tracks the yellow goatsbeard grows wild and today, as I'm passing a few scattered stalks, I stop dead in my tracks - there's a gorgeous warm flame of the weed gone to seed. What beautiful wonder and glory these wild plants create! After my walk, after fussing at a few social media things, I open the file for my essay on eggs and I write. I just dig into revising what I've already written and changed, written and changed. I spend the writing and revising the essay; my writer's group is tonight, and by the end of the day I have 1,000 words I am eager to share. Tomorrow, I will continue. The momentum is here.